Bamboo is remarkable in its renewability—many species can be harvested in as little as four years. By contrast, hardwoods like oak take at least 40 years to mature before they can be harvested. When bamboo is harvested, a new shoot will grow from its extensive root system with no need for additional planting or cultivation. The species of bamboo used in our products (Moso) is sustainably harvested in its native habitat in the Anji Mountains of China. Bamboo is also extremely durable—its fibers are far stronger than wood fibers and much less likely to warp from changing atmospheric conditions. 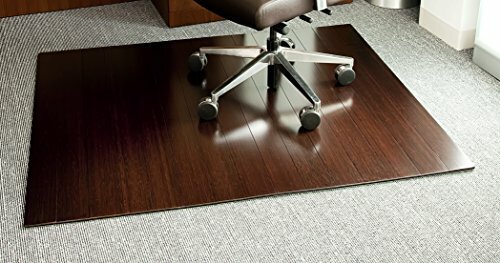 Our patented Bamboo Office Chair mats have introduced eco-friend style to what was formerly an unattractive and purely functional accessory. Naturally elegant bamboo is more durable than a plastic mat and adds a charming organic touch to any area.